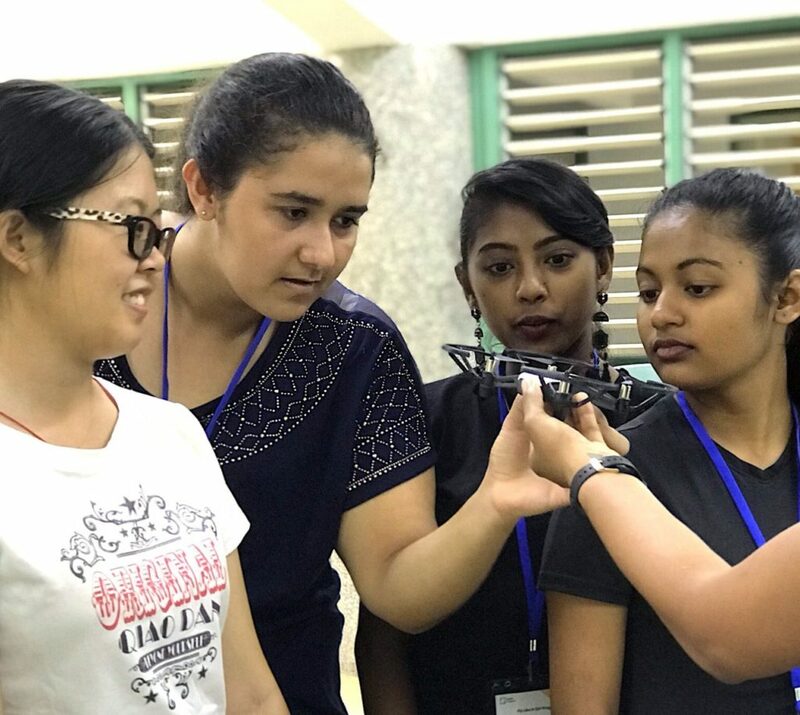 These were the words of Yat Sen Secondary school’s student Samantha, one of the many participants in the Fly Like A Girl program organised by the South Pacific Flying Labs and the University of the South Pacific. The one-day program was launched on the February 23, 2019 and was attended by 5 secondary schools students in the Central Division namely Sacred Heart College, Ratu Sukuna Memorial, Saint Joseph Secondary and DAV College. 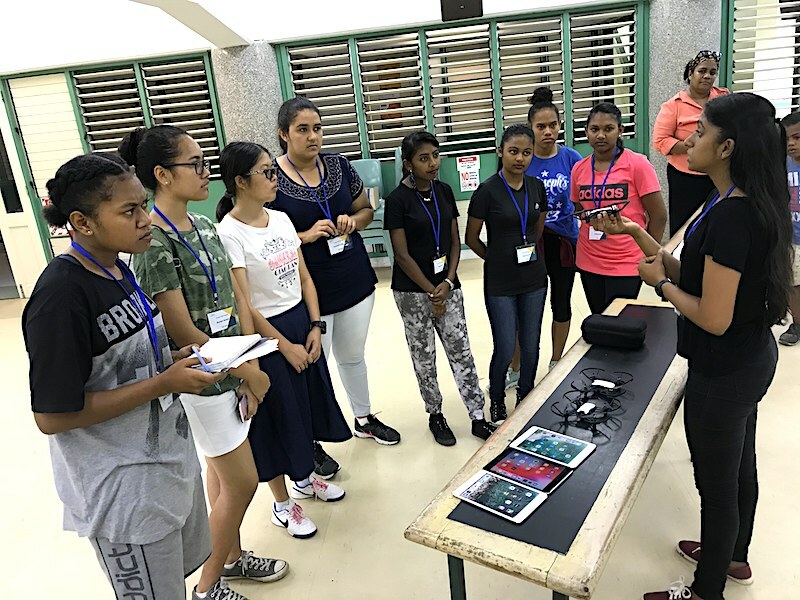 There is no shortage of successful females in the field of GIS and UAV management thus the team started the day by reminding them of some of these prominent women in Fiji and the South Pacific as a means of introducing them to STEM related fields. 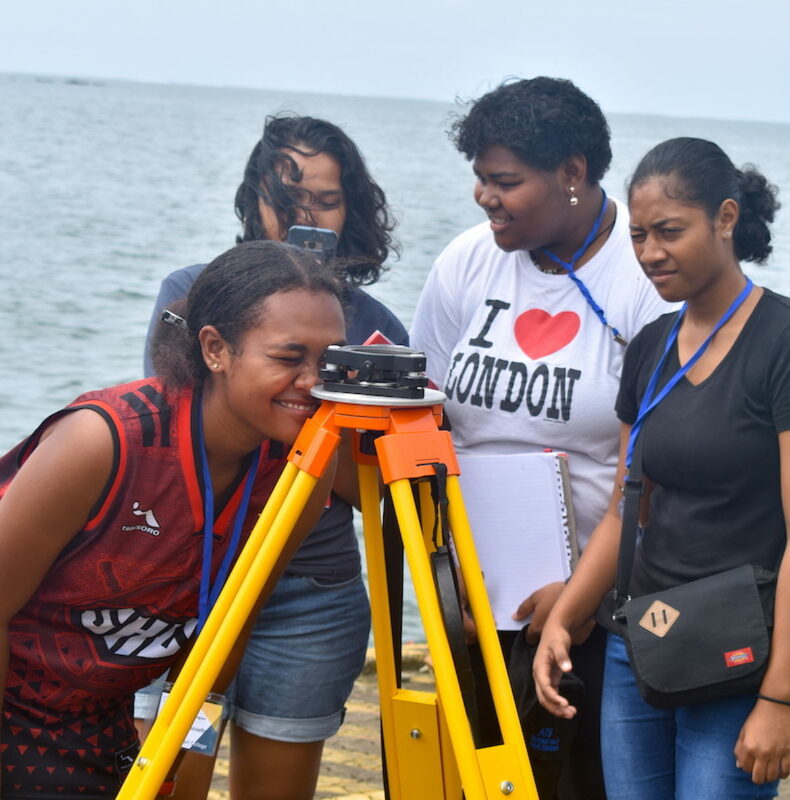 These women ranged from Sophia Soli in Papua New Guinea who is spearheading the PNG Flying Labs operations to the University of the South Pacific’s Geography and Land Management double gold medalist and current Geospatial Officer at Ministry of Lands and Mineral Resources, Vosawale Nabulikula. Participants were divided into two groups so they could take part in the two sessions which we ran simultaneously on Lower Campus grounds in Laucala, Suva. Session A focused on the workflow for capturing and processing drone data with multicopters and Pix4D. Here the participants were introduced to setting up survey gear, they collected Ground Control Points (GCPs) and imagery which they later processed. On the other hand, Session B focused on the coding aspect where they used DroneBlocks and Tello drones to understand the basics of coding on a simpler platform. Instead of using the tablets, they wrote the codes down which successfully navigated around the obstacles they were given. The youths then later explained the logic behind their code with a presentation. As part of the program, the team also discussed CASA regulations and the rules that drone users in Fiji must follow in order to operate properly under CAAF. One participant ended up crashing one of the small Tellos, offering an opportunity to brush up skills for changing propellers, taking care of batteries, inspecting for further damage and better preparing for missions to avoid such accidents. Programs such as these have previously been run at Pacific Flying Labs, focusing on solving humanitarian and environmental problems with drones but with fewer participants. Their success translated in a remarkably higher interest and increased number of participants, including CASA certified drone pilots and volunteers of the Labs.